Blend Local Search Marketing are a 360 Internet marketing company providing SEO (search Engine Optimization) and SEM (Search Engine Marketing) services to clients across 3 continents. Successfully specializing in getting small and medium sized business not only visible online with local search and video marketing strategies but dominating page 1 of Google for their keywords. Blend provide a full consultancy services, website audit, design & build service, and online marketing strategies. 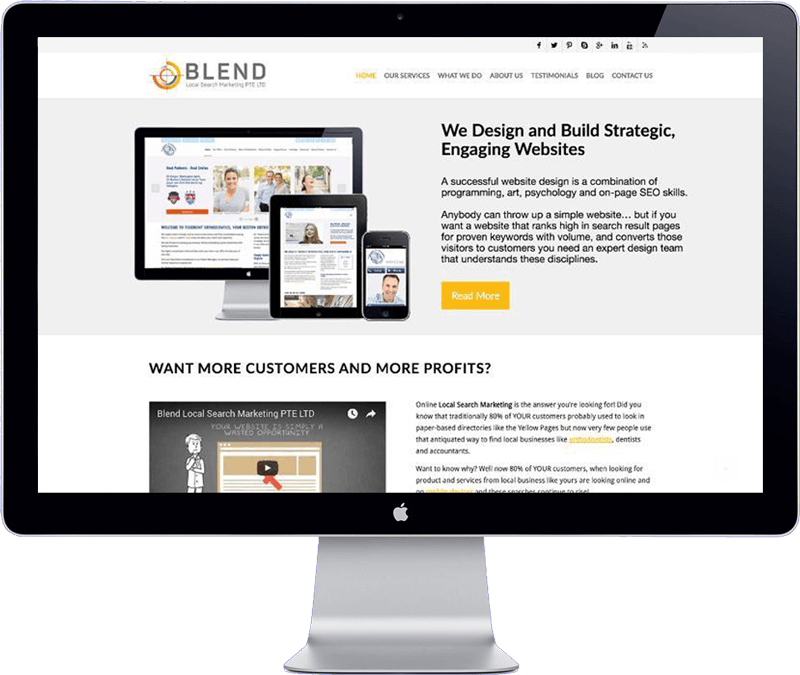 Blend requested a complete redesign of their website. Other than using the base colors from their logo Blend gave me complete freedom to me to design the website. The website is build on WordPress CMS and an SSL certificate has been installed. The website has enhanced security and contains an automatic backup system.